It's time for this month's Feature Day with Your Next Stamp and it's a fun one! 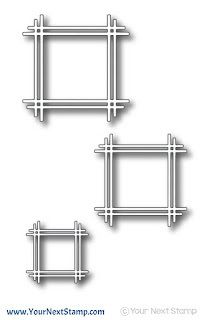 The DT is combining two or more sets in their project, along with whatever dies we would like. The creations are fabulous! For my card, I am using both Phoebe and Pets and Cute Gnomies. My really good friend is getting ready to move away this weekend and I thought this would be a great card to give her before driving away. The bird, cage, and sentiment is from Phoebe and Pets while the accent "friends" are from Cute Gnomies. I used the circle die set and Stitching Marks dies set to cut out the center before adding the cut outs from Tweet Birdie Home for the cage to hang from. The cute bird is positioned so it looks as though he is sticking his head out to say hi to his friends. I used some patterned paper from Crate Paper for the front panel and finished off the card with the sentiment and some heart gumdrops. I hope she likes it! 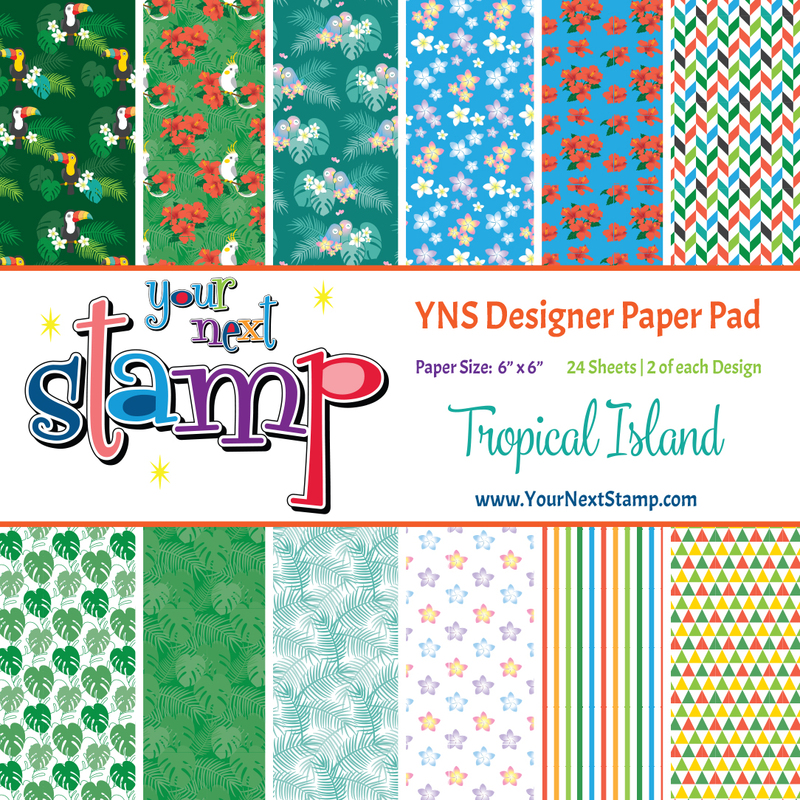 Don't forget to check out the YNS Blog to see all the other great creations and leave a little love. 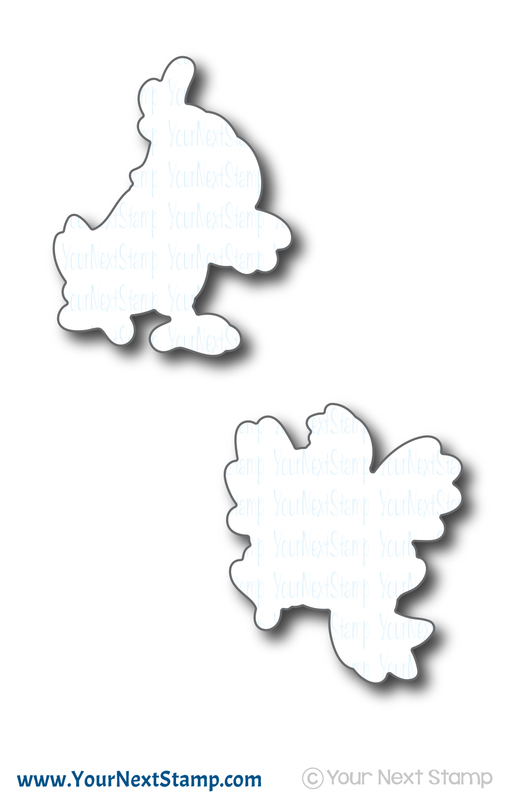 A random comment will be picked to win a stamp set of your choice! That always make for a good day. :) I hope you all have a great rest of the week and if you are like us here, a great last day of school Friday. 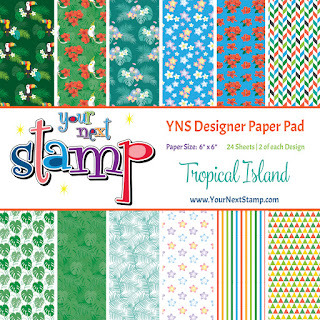 The time has come for the June release of Your Next Stamp's June release! A fun, summer-y release that will be sure to get your summer mojo flowing. Did you make your list as you looked at all the fabulous sneak peeks? 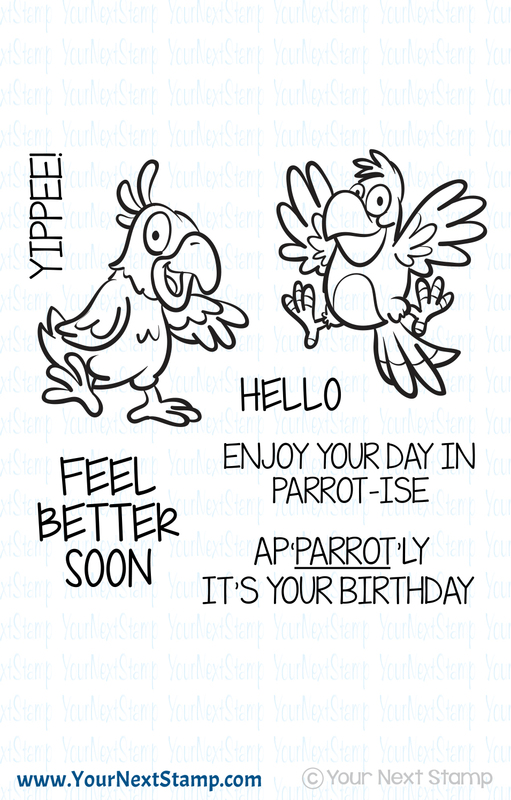 For my first card, I am using the Parrot-ise set that is just SO much fun! And to make it even more fun, the coordinating paper is perfect!! I used a sheet of the patterned paper for the back panel before using some Distress Inks to sponge for the top panel. Once I sponged in the colors I wanted, I added a few water droplets. 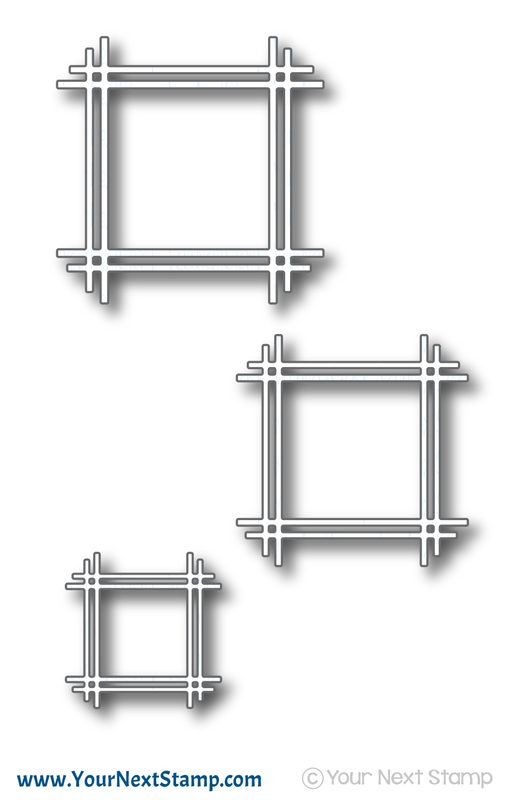 Then, the new released Stick Frame dies were used for the backdrop cut from same patterned paper collection. The parrot were colored in with Copics and cut out using the coordinating die set. 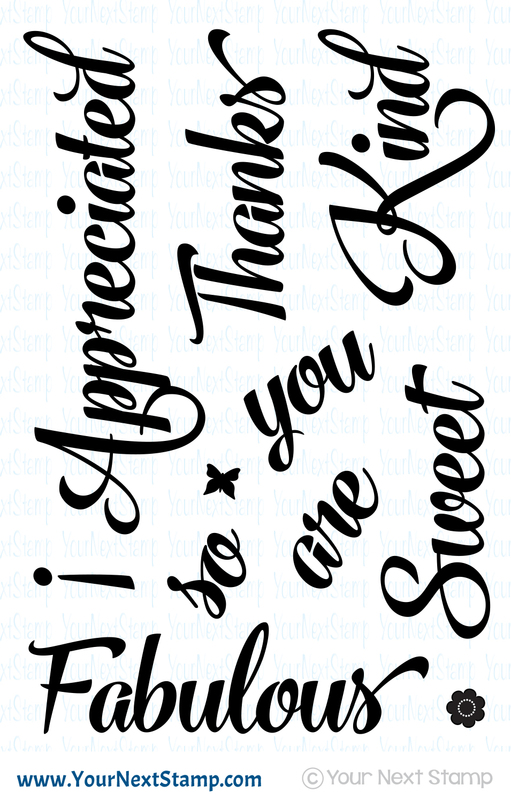 The card was finished with the sentiment in various colors and some of the new fun Tropical Paradise gumdrops. 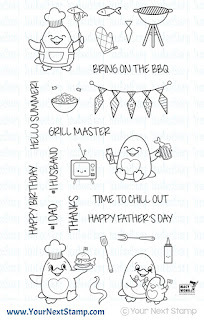 The second card I am sharing is using the new Waddles Bring on the BBQ set. You really cannot go wrong using Waddles in any season or celebration. He is just too cute. For this card, I used the sun panel die for the background and some the patterned paper from the newly released For the Boys paper pad for the inside lining. Waddles was colored with Copics and cut out using the coordinating dies to be popped up over the sunburst. 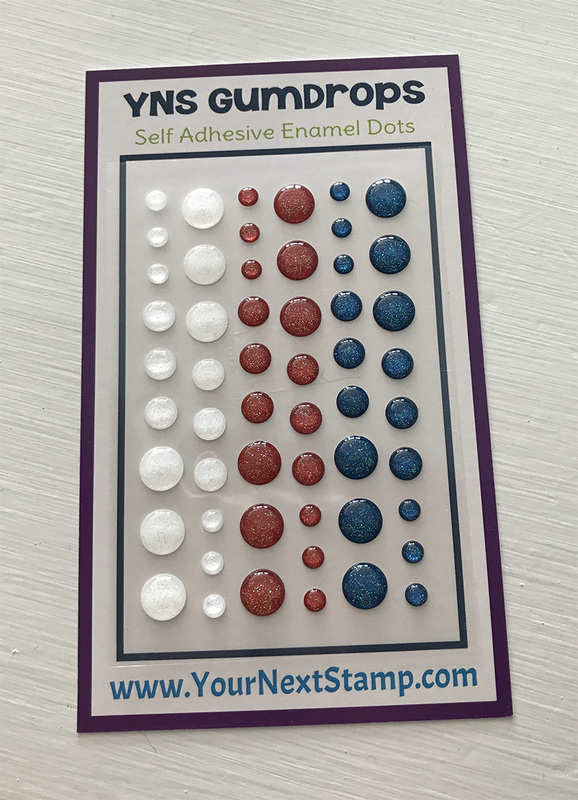 The card was complete using some new Firecracker sparkly gumdrops. As always, Karen is offering a sweet deal for you that you don't want to miss. 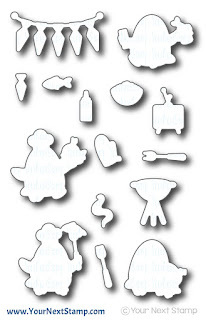 This way, you can get everything on your list! See what she did there? :) You cannot beat a 20% discount for all these fun goodies! Thank you for hopping in and don't forget to leave a little love as you stop through. 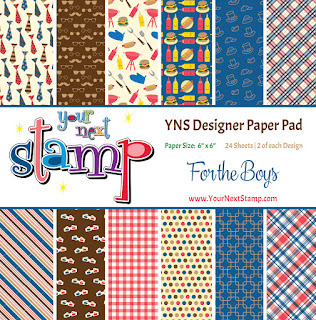 A random winner will be picked for a $25 gift certificate to the YNS store! 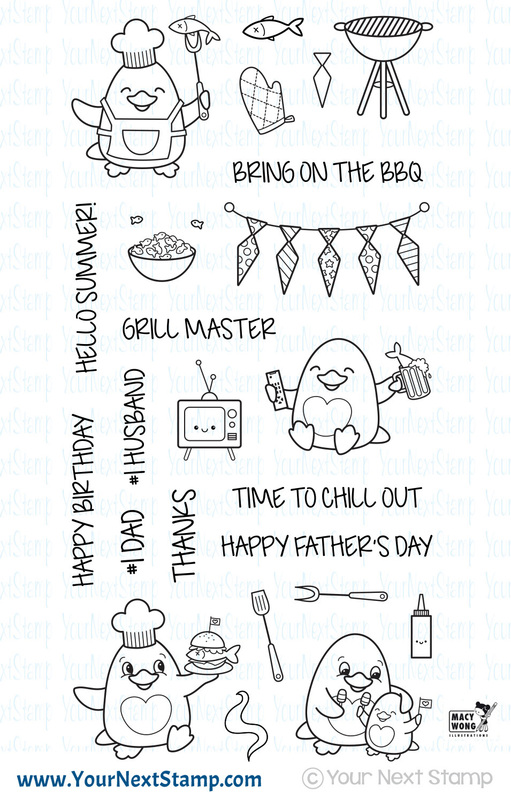 It's that time for the June sneak peek of Your Next Stamp! This release is so summer-y and fun, you will no doubt have some mojo for making some awesome projects, cards, or invitations. 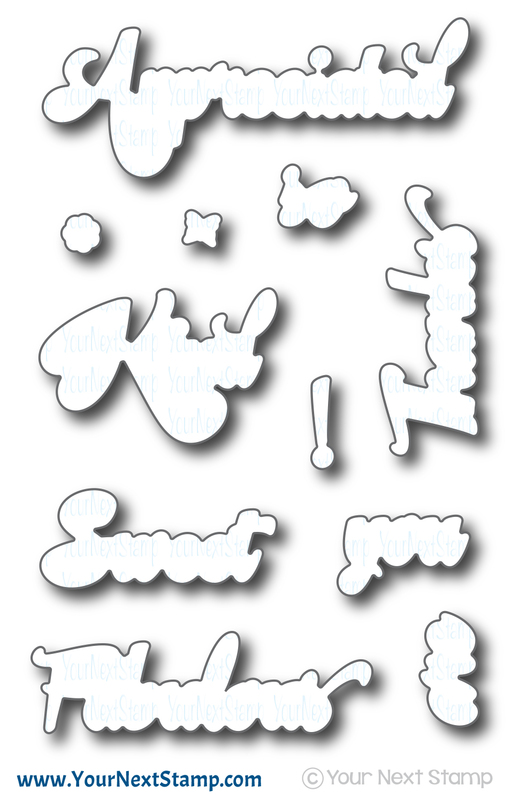 For my sneaky peek, I am using the new Whatnot Sentiments Ten to create this pearlesque watercolor sentiment card. I tried very hard to capture the pearlesque look, but I just couldn't get it on camera. But know IRL it is quite pearly and shiny! For the background, I used my almost forgotten Yasutomo pearl watercolors. Canon watercolor paper was used as I brushed over different colors and dried it with my heat gun. 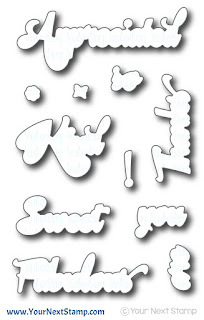 I added some water drops to the look and heat embossed directly on top the 'you are' before using the coordinating dies to cut out the outline of the word. I then heat embossed the sentiment on the black panel following the outline of the cut-out. The card was finished with some sparkly gumdrops and a little butterfly at the bottom. 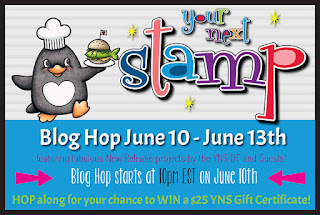 Be sure to stop by the YNS Blog to see all the fabulous peeks and don't forget to stop back tonight for the full release and blog hop! Thanks for stopping in! 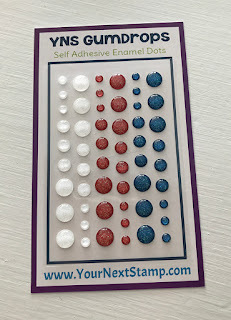 Today is another Friday Sketch and color challenge with Your Next Stamp. This sketch gives you a great opportunity to use multiple patterned papers if you are looking for ways to use up a few larger scraps or a nice way to peek out your patterned paper between some solids. Just a fun sketch overall with many possibilities! 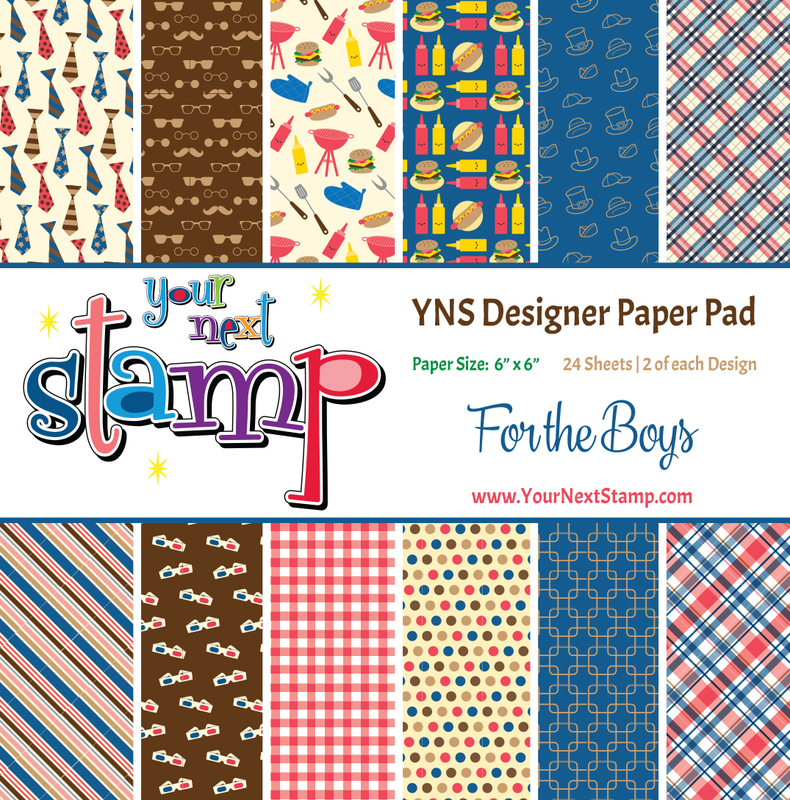 For my card, I decided to make one showcasing the YNS Crazy for Coffee patterned paper pack. 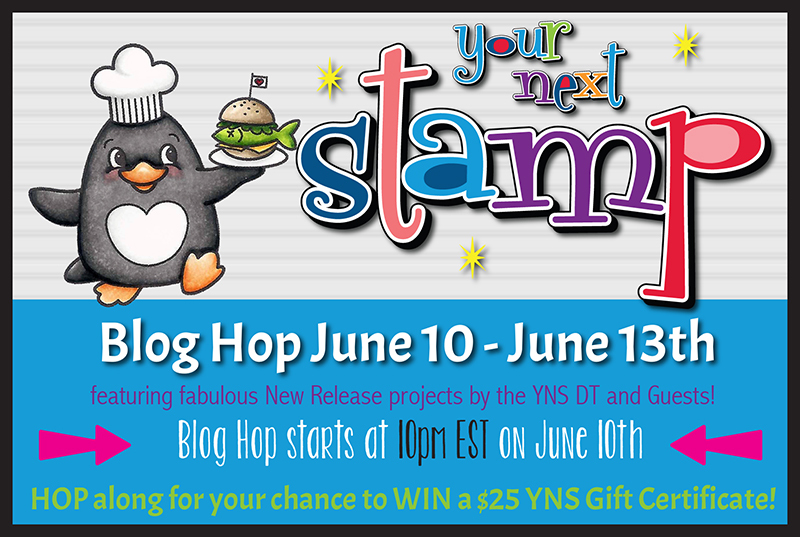 We hope you will be able to play along with us over on the YNS Blog. If you do, be sure to link up your project for your chance to win a gift certificate to the YNS store. Thanks for stopping by and hope you have a great Friday!